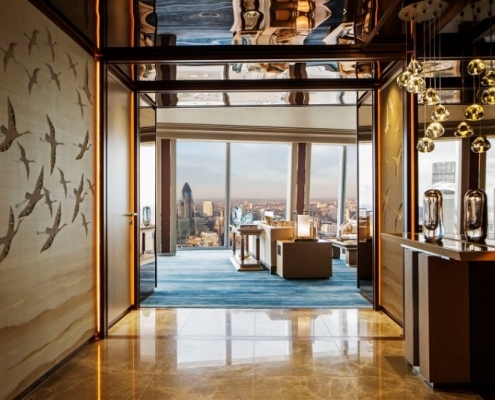 The Shard Shangri-la Hotel offers London the height of sophistication on the 34th-52nd floors. Erected in 2009, the Shard eludes an atmosphere of tranquility and dystopian atmosphere. The structure was inspired by nearby railway lines, ship masts and London spires and devised by the architect Renzo Piano. The structure faced some dispute from Londoners, claiming for the building to be a shard of glass amidst the historic beauty of London. The clever use of glass panels reflects the surrounding light and create an appearance which changes continuously. The unique design of the Shard has left the building to stand as a structure which could well become London’s new emblem. 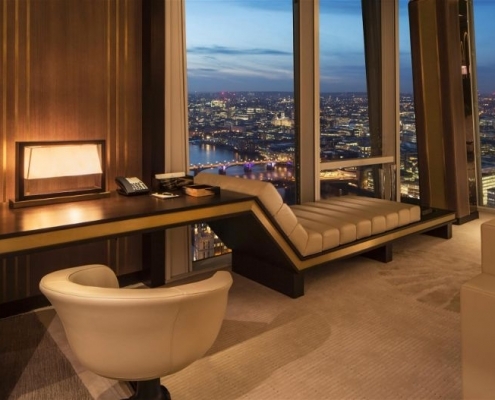 The 202 guestrooms at the Shangri-La Hotel at the Shard offer a luxurious retreat which is catered for from world-class hospitality service. Each and every room in the Shard hotel is unique due to the intricate shape and design of the building. 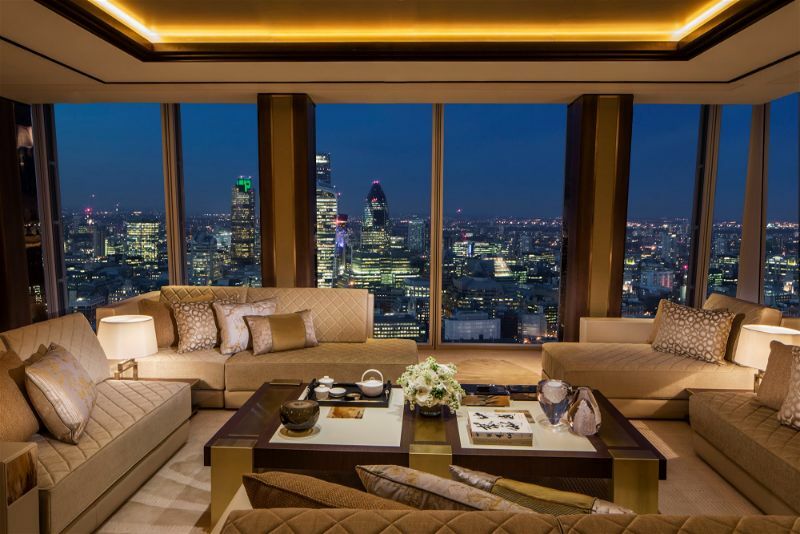 The Hotel’s 17 bespoke suites are some of the finest in London and include a personal butler service. 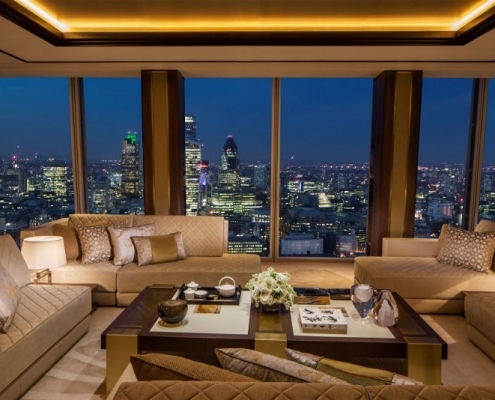 Not only do the suites include the most luxurious of surroundings but the windows provide unspoiled views of London and Westminster landmarks. The combination of high-end technology and subtle luxury allows for a home away from home feel which caters to your every need. 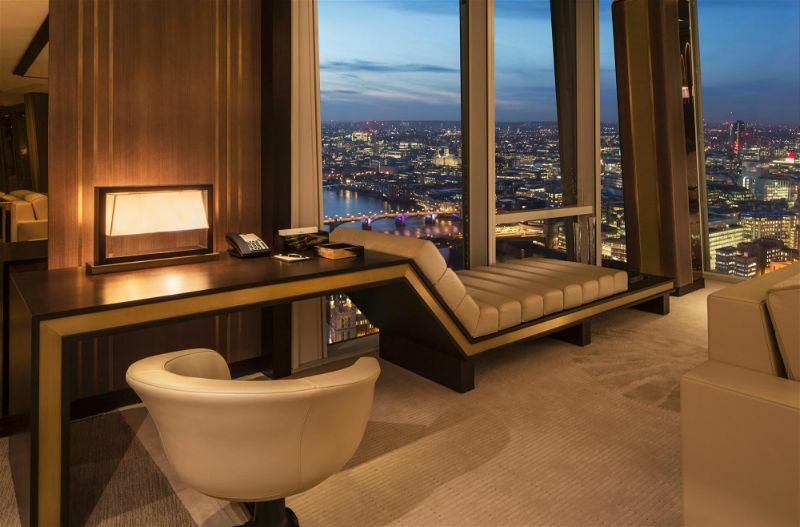 Whether you prefer a deluxe city room or an extravagant suite you can find your taste of luxury at the Shard hotel. The Shangri-la Shard hotel features three unique venues across the iconic building. Relish in the splendour of these culinary journeys at one of the hotels incredible venues. Enjoy a decadent afternoon tea at “TING” where you can soak up the breathtaking views and indulge in your favourite cup of tea or cup of crafted coffee. 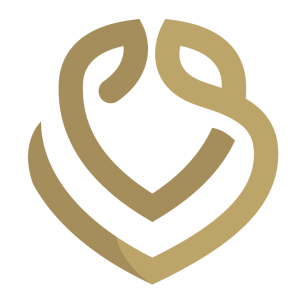 The Shangri-la offers both British and Asian cuisines to cater to all palettes. If a cocktail is on the cards, you won’t want to miss a trip to “GONG” which stands as the highest bar in Western Europe. 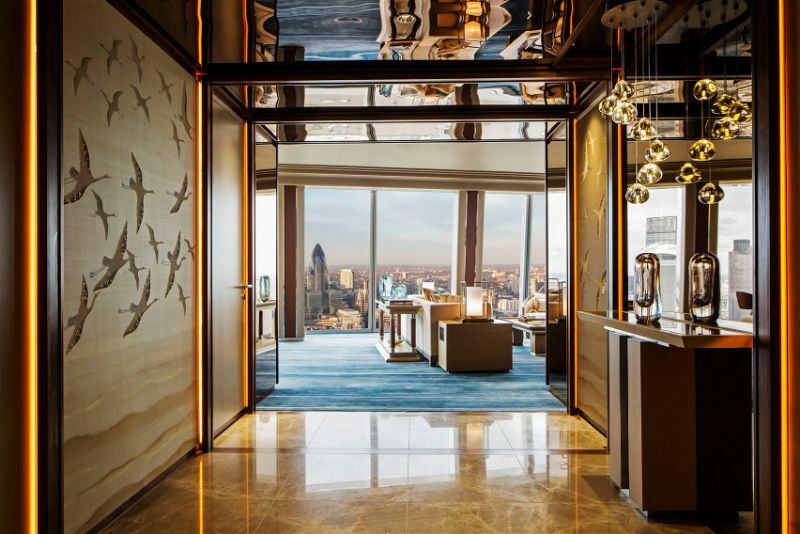 Situated on level 52 this splendorous bar offers an idyllic backdrop where you can enjoy the beauty of the London sunsets. Additionally Bar 31 offers the perfect location to indulge in your favourite tipple. Surrounded by local artwork you can unwind after work with craft beers and a fantastic range of spirits and fine wine. Rejuvenate and awaken your senses in the Skypool offering indulgent spa treatments.